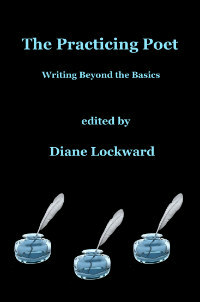 Each of those sections includes 3 craft tips from such poets as Nicole Cooley, Patrick Donnelly, Barbara Hamby, Molly Peacock, Diane Seuss, Maggie Smith, and Lawrence Raab. I’m particularly excited about section X which assumes that most poets aspire to publish a first or a next book. 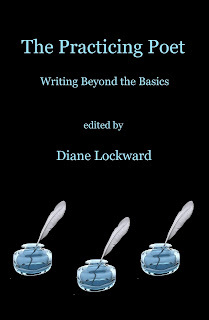 April Ossmann contributed a terrific piece on manuscript organization. Next comes a piece by me on how to promote your book once you have it. The final craft tip in this section is from Adele Kenny on how to give an effective public reading, a topic she knows a lot about as she is the founding director of a popular and long-running series in New Jersey. Each section also includes 3 Model Poems contributed by such poets as Thomas Lux, Joseph Bathanti, Camille Dungy, James Galvin, and Vievee Francis. Each of the 30 model poems is followed by an analysis of its poetic techniques. Then comes a prompt based on the poem. This prompt asks the reader to write a new poem employing the model poem’s techniques. 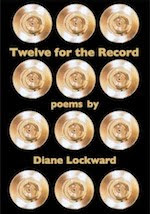 Each of the 30 prompts is followed by 2 Sample Poems from such poets as Patricia Fargnoli, Ann Fisher-Wirth, Libby Bernardin, Karen Paul Holmes, Tina Kelley, and Scott Wiggerman. These 60 sample poems suggest the possibilities in the prompts and should provoke thought and discussion. Each of the 10 sections includes a Bonus Prompt to keep you writing and writing. These bonus prompts are short and perfect for days when you think you have nothing to write about. They have the benefit of being recyclable. Each of the 10 sections concludes with a Top Tips list. I invited 10 wonderful poets to each compile a list of their best poetry wisdom. They came up with amazing lists. These poets include Patricia Smith, Lee Upton, George Bilgere, David Kirby, Robert Wrigley, Dorianne Laux, Jan Beatty, Ellen Bass, Alberto Rios, and Oliver de la Paz. You’ll love the variety in these lists and will, I’m sure, revisit them repeatedly. I have been compiling the material in this book for more than 3 years. It would make me very happy to know that it had found its way into your hands, taught you a thing or two or three, and compelled you to pick up your pen and write new poems.